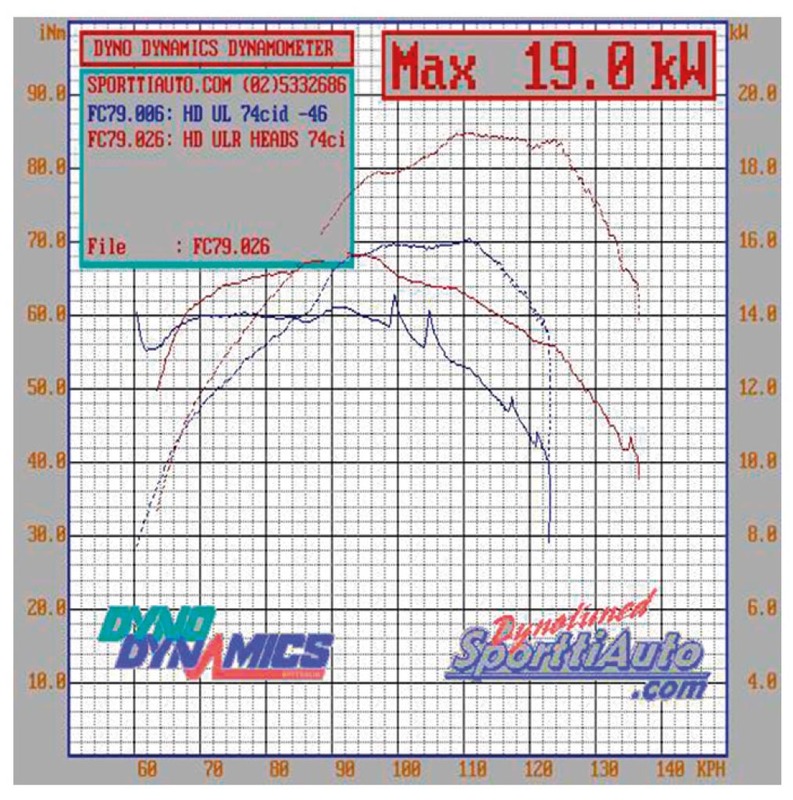 Dyno test shows 18% power and 13% in torque increase over stock 1946 UL with medium compression heads, just by swapping over to ULR heads! These are true rear wheel numbers, power was up big time and torque curve is impressive! Remember, torque is the most important figure with flatheads! 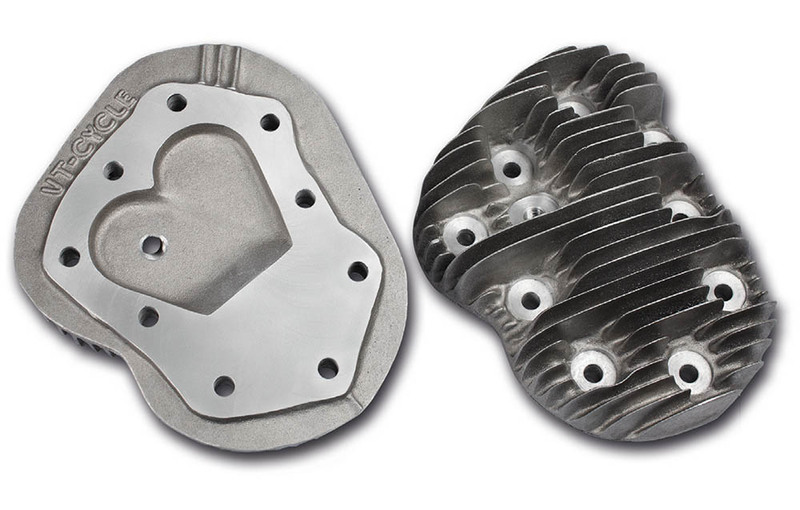 Sold as a set of front and rear head, available in stock for immediate shipping. We ship worldwide.